Applying for a loan can be really scary for a lot of people, and big banks certainly don’t help in taking the edge off. If your credit score isn’t sky-high, if your history of debt isn’t squeaky clean, and if your income isn’t earth-shattering, banks have a way of making you feel so small; not worth their time, and certainly not worthy of a loan. So, how do you get a personal loan without being squeaky-clean by big bank standards? What if you have no credit? Consider a collateral-backed loan acquired through a pawn shop. A collateral-backed loan simply means that you supply a valued item or asset to the lender (in this case, the pawn shop) in exchange for the loan. Once you pay back the loan, you get your item back. It’s that simple. And at most pawn shops you can get a collateral-backed pawn loan with no credit at all. Applying for a collateral-backed loan at a pawn shop is (unlike at major banks) a very straightforward process: it’s a no-stress, no-frills loan arrangement that gets you cash liquidity quickly. So, what do you use as collateral? 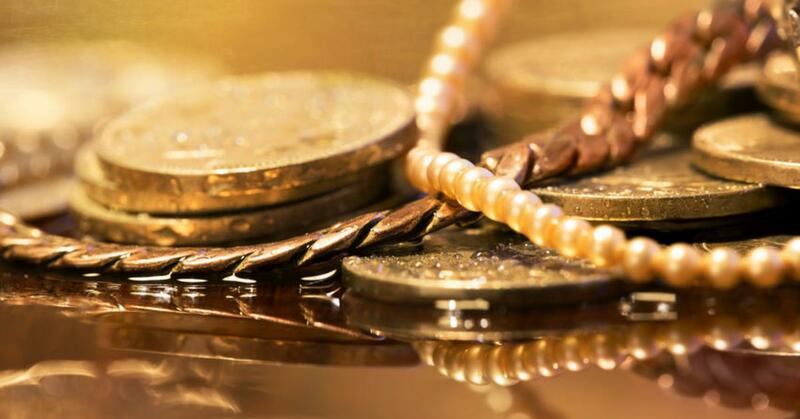 There’s a common misconception that you need to (or at the very least should) pawn gold as collateral, and it’s easy to see why: gold is very easy to value – there’s no debating what your gold is worth. But there are a lot of things that pawn shops will take as collateral in exchange for a loan. 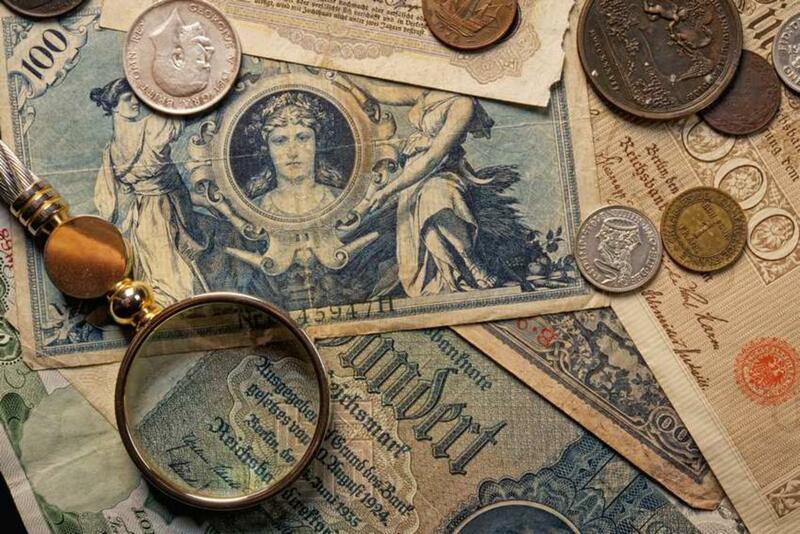 Valuable antiques like baseball cards or other vintage collectibles can be fairly easily appraised and can carry great value. Jewelry is also fairly easy to appraise. Or get creative: consider supplying tools, musical instruments, or even furniture pieces in exchange for a fast loan at your local pawn shop. 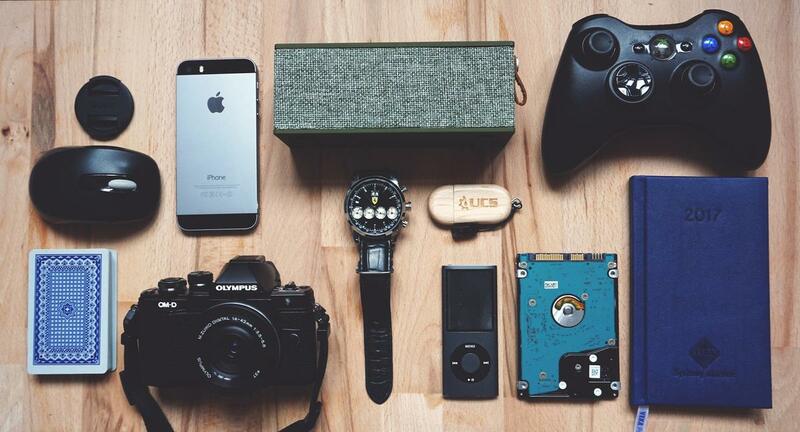 You’d amazed at the value that some of these items can carry, and oftentimes going without them for a short amount of time while you pay back your loan just isn’t that big of a deal. The collateral-backed pawn loan is a stellar option when you need fast cash, but be warned: it does come with a certain amount of risk. Before you jump at the opportunity, know that an inability to pay back your loan in the time allotted could result in forfeiture of the collateral. 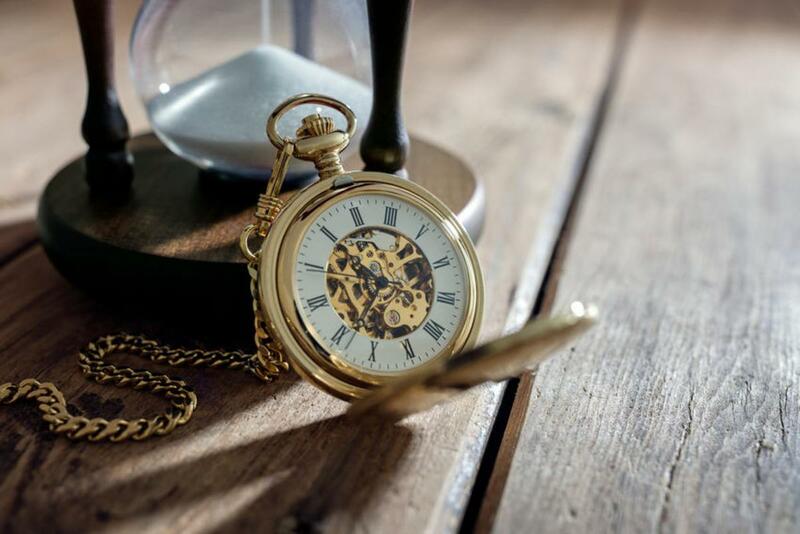 If you’re considering using a prized piece of jewelry or family heirloom as collateral, think very carefully about what it would mean (and how you would feel) if you did not pay back your loan and had to forfeit that beloved item. Nevertheless, sometimes you need to take the risk and get that cash fast. 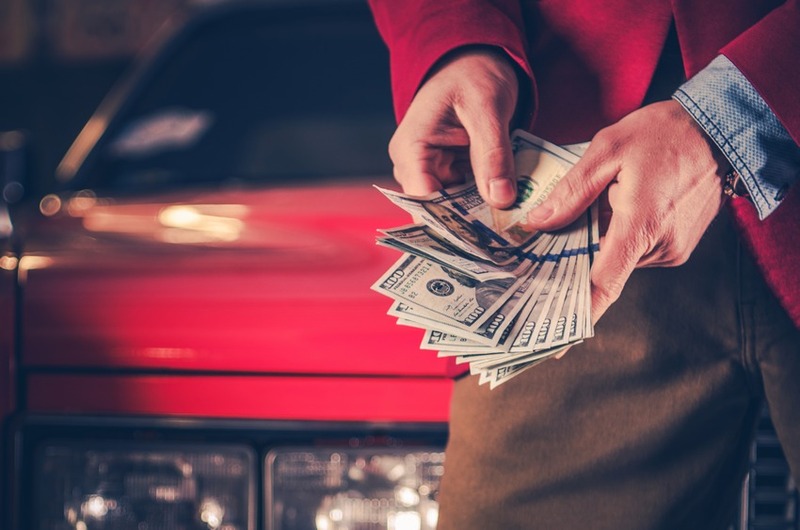 If, for example, your car was to break down unexpectedly and need serious repair for you to get back on the road, you’d need to have cash (fast) in order to pay for that repair. You could use a collateral-backed loan to take care of the repair and pay it back slowly over time. Some pawn shops will even arrange with you to use the car itself as collateral, and even let you continue to drive it! You might also encounter unexpected injury or illness, and those healthcare bills can certainly add up. Cover your healthcare costs quickly with a collateral-backed loan from your neighborhood pawn shop. No matter what your need is, the qualified folks at Cash Express Pawn Shop are here to help. Come talk to us about your loan needs and we’ll be happy to go over options and explore what a collateral-backed loan might look like for you. There tend to be a lot of misconceptions around pawn shops. Firstly, there’s a pervasive idea that fundamentally, a pawn shop is a place to buy and sell old jewelry, and not much else. This could not be further from the truth: pawn shops deal in an incredibly wide range of goods, and as a result, they’re a really fun place to shop! You never quite know what you might find at your nearby neighborhood pawn shop. Second, a lot of people tend to feel that there isn’t a whole lot of regulation around a pawn shop, particularly when it comes to doing collateral-backed loans through pawn shops. This, too, is incredibly false. Pawn shops are highly regulated and are therefore an incredibly safe and effective place to turn to if you’re in need of fast cash. Cash Express Pawn in Philly is a long-standing, trusted and respected establishment with a reputation for dealing in exceptional goods of high quality in a way that’s honest, fair and effective. If you’re ready to sell, are in need of a loan, or just want to shop, it’s the place to go! Pawn shops: they’re just for Grandma’s pearls and selling gold, right? Wrong! Yes, pawn shops do deal in jewelry, and it’s not surprising why: jewelry is easy to appraise and oftentimes has great value. So if you’ve got jewelry that you’re no longer attached to and are curious about what it might be worth, come in! The folks at Cash Express will give you an honest and no-pressure assessment of your valuables and can talk to you about what selling (or loaning) your jewelry could do for you in terms of acquiring fast cash. But there’s so much more you can buy and sell at a pawn shop. Baseball cards, musical instruments, electronics, tools, antiques, or even furniture: all of these can have a surprising amount of value and good pawn shops like Cash Express would be happy to talk to you about selling or loaning them. That said, the pawn shop is also a fun place to go shopping, especially if you’re on the hunt for a particular gift. Looking for a certain tool for your dad, or maybe a gently-used piano or drum kit for your kids? Try the pawn shop: you’ll be amazed at the wide inventory of like-new or very gently-used items that make stellar gifts (at a fraction of retail cost). Pawn shops are highly regulated, and good pawn shops like Cash Express Pawn in Philly take that as a point of pride: they’re a trusted and reliable place to do business and will give you a fair and honest deal every time. If you’re ready to part ways with a valuable that you’ve had for a while, you can trust that Cash Express Pawn will give your item a fair appraisal and will be transparent with you about its valuation every step of the way. What’s more, if you’re not quite ready to say goodbye to those precious items, you don’t have to! 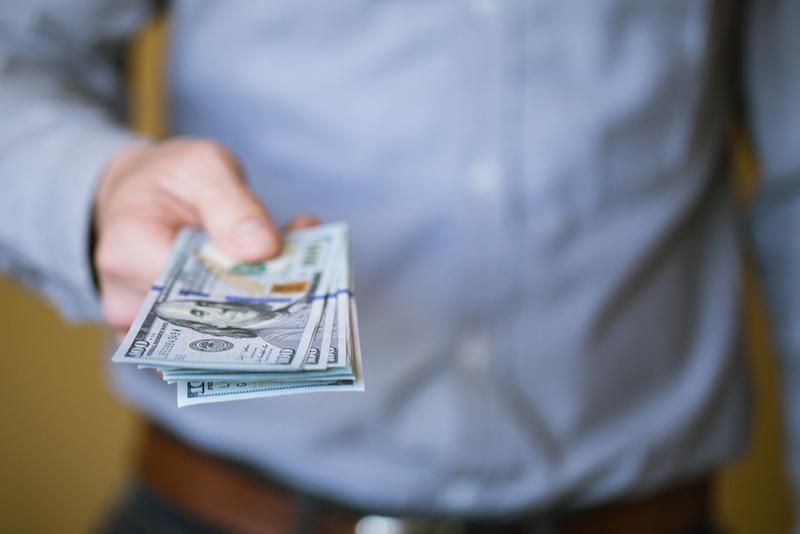 Cash Express Pawn can give you a safe, low-interest collateral-backed loan for your items: once you pay off your loan, you get your item right back! It’s a low-risk option if you’re in need of fast cash but don’t necessarily want to sell your prized possession. And you don’t even need credit to do it! The application process is very easy and very transparent, and the talented staff at Cash Express can sit down with you and explain the entire loan process to you without pressuring you to commit. We’re here to educate, and when you feel it’s time that you got that collateral-backed loan, we can help! Pawn shops are awesome, and Cash Express Pawn is here to make buying and selling a fun, stress-free experience every time. Come visit us today to find out what amazing inventory we’ve got in store, and what incredible offers we’re ready to give for your sold (or loaned) valuables. If you’re like a lot of folks, you’ve probably come into possession of jewelry that you don’t know the value of. Perhaps a relative has passed down their prized heirlooms, or maybe you received a gift of jewelry from someone: either way, you weren’t there for the purchase, you don’t know where the jewelry came from or how it was made, and so you’re unsure of its real value. You could be sitting on a treasure trove of coveted items and have no idea. So, how do you find out what your jewelry is worth? Fine jewelry can have its value ascribed through a jewelry appraisal. An appraisal gives you proven documentation of the worth of your piece: a certified appraiser will inspect the jewelry item, looking at a number of important factors, and then will determine its value. He or she will then supply you with your documentation: this proves the value of your pieces so that you can sell or pawn them later at the certified, appraised price point that accurately reflects their real value. So, what is a jewelry appraiser looking for? There are a lot of things that determine the value of a piece of jewelry, and depending upon what it is (a ring versus a necklace, for example), the appraised characteristics might differ. Generally, appraisers will consider the overall condition of the piece, the characteristics of the gemstones used, and the metals used in creating the setting. The documentation provided to you upon completion will explain exactly what was assessed so that you understand how the appraiser arrived at the ultimate piece value. And that’s all there is to it! Your piece now has an official value. Having appraised your piece does not obligate you to then sell the piece; in fact, sometimes getting an appraisal is a great step to take in helping you determine that you don’t want to sell your piece. You might find that your piece is not worth what you thought it was and that selling won’t ultimately be as profitable as you’d imagined. Or you might find that your treasured jewel or family heirloom is worth much more than you’d originally projected. Either way, knowing the appraised value of your piece gives you options. Having an appraisal is also vital if you want to insure your jewels: items can’t be covered unless their value is certified and documented, and so insurers will require that you have your jewelry appraised first. So if you’re sitting on some jewelry that needs to be assessed, pursue an appraisal: knowing the value of pieces will give you options and allow you to make choices knowledgeably. 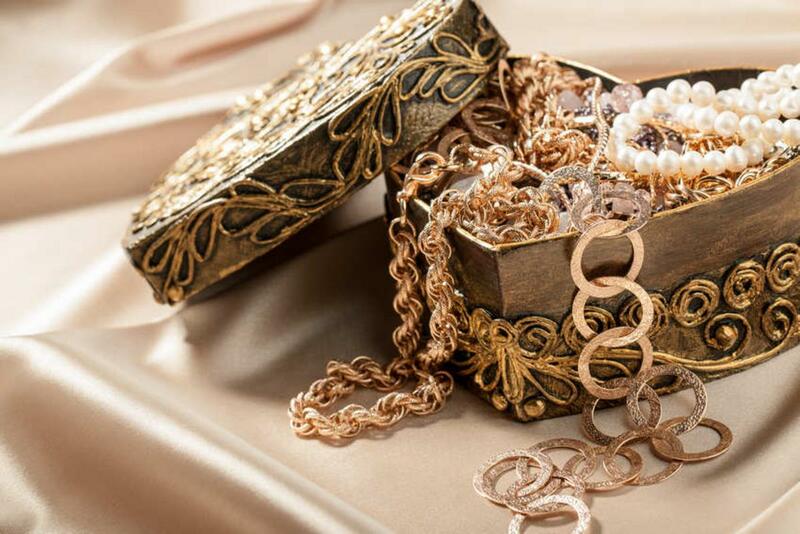 No matter what you decide to do with your fine jewelry, the qualified folks at Cash Express can help you understand the value of your treasured pieces so you can make better long-term financial decisions with your items. We’re happy to answer questions and are here to ensure that your items are appropriately assessed and accurately valued every time you come in. Are you ready to dive into a new musical hobby? Or maybe you’re already quite the proficient instrumentalist and feel that it’s time you stepped up your musicianship by investing in a really quality instrument. Either way, buying a musical instrument doesn’t need to be stressful. 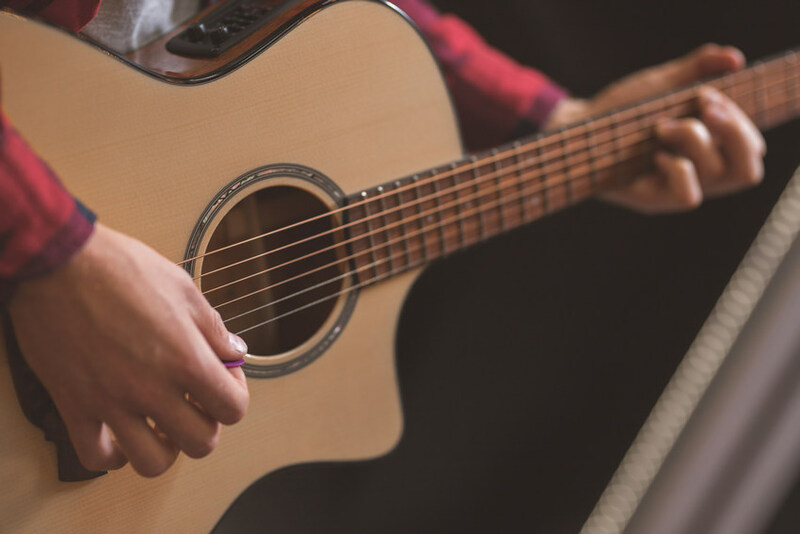 You can find a high-quality instrument that’s in great shape and is perfect for you without breaking the bank: just turn to your local pawn shop to find the instrument of your dreams. There are a number of reasons why the pawn shop is an excellent (and relatively overlooked) choice for musical instrument shopping. Most notably, it’s one of the only places where shopping for musical instruments allows you to haggle. Maybe you’ve got your heart set on a Fender guitar, but you can’t afford to spend “new Fender” money. That’s okay! Find a Fender at your local pawn shop and talk to the broker – it’s quite likely that they’ll be able to arrange a deal that gets you the guitar you love at a price point that’s agreeable to you. Working with pawn shops also allows you to trade as a part of your instrument purchase – if you’ve got an older or well-used instrument at home and are ready to trade up, put that instrument towards a new one! Only pawn shops allow this level of haggling: at your local Fender dealer, the price is the price, no matter what. So why aren’t more people shopping for their instruments at pawn shops? Well, there seems to be a pervasive misconception among a lot of new or novice musicians that the instruments available at pawn shops are second-rate or very badly used. This definitely isn’t the case. In fact, most instrument inventory at pawn shops tends to be newer and relatively untouched. Why? Because, fundamentally, musicians who are serious about their craft don’t pawn off their instruments often: they keep them for the long haul. More often, the instruments that end up at pawn shops got very little use (and that’s why they’re being pawned off). A lot of parents buy their children only the best, high-end instruments brands, only to learn later on that their kids don’t really like music class at all. That’s how “like new” Selmer saxophones, Pearl drum kits, and Gibson guitars end up at pawn shops. In fact, the only real difference between a lot of these instruments and ones you’d buy directly from the manufacturer is the price point. You can save some serious money by buying a beautiful, barely-touched instrument at a pawn shop. Now it’s true: occasionally a very old, very used instrument ends up at a pawn shop and needs a new home. This certainly isn’t a bad thing, especially if you’re a new musician. Worn instruments aren’t necessarily of lesser quality or harder to play, and at a pawn shop, you can get an older instrument at a rock-bottom price. Consider spending minimally on your new instrument at the pawn shop and then taking it for a tune-up if it really needs it: a lot of music shops can give older instruments a quick fix relatively inexpensively. The trumpet or viola that you spent peanuts on might just need a quick clean-up for it to be the perfect instrument for you. 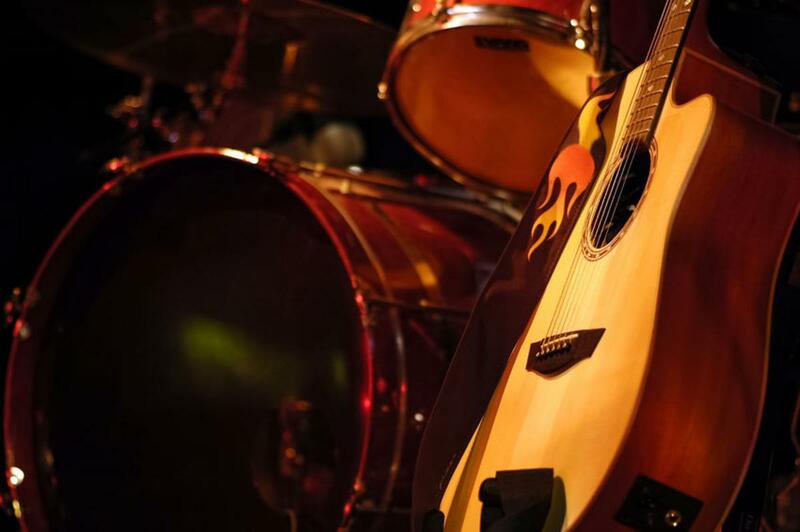 So whether you’re a seasoned musician or you’re just starting out, don’t think twice about where to shop for that perfect instrument. Talk to the folks at Cash Express about finding the instrument of your dreams at a price that’s reasonable for you. With the Internet, its easy to find reviews for anything, whether it’s a hair dresser or a car mechanic. At Cash Express, we know that customers want to get the best bang for their buck. We also know that many people rely on online reviews to decide whether or not they’ll patronize a particular business. While reviews can often be helpful, it’s easy to have your opinion swayed by negative reviews that might not necessarily be accurate. 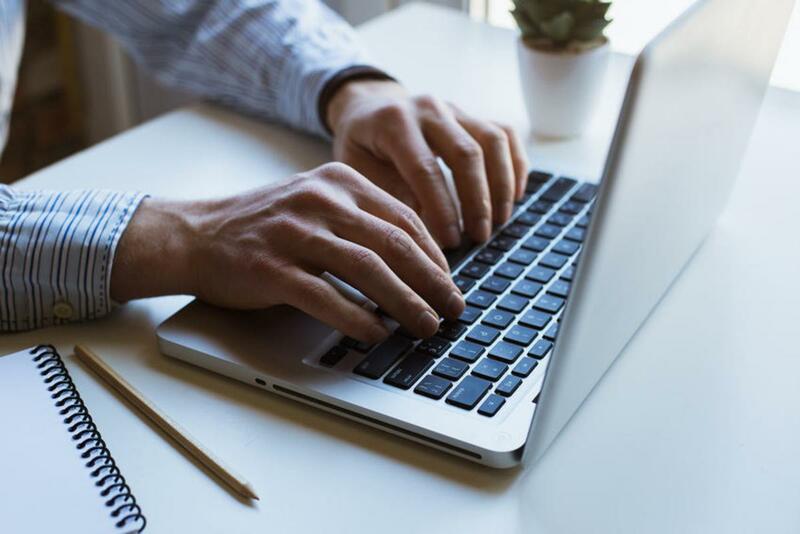 According to research, it’s estimated that around 82% of people read online reviews to help them make a decision about purchasing a particular product or service. Most people read reviews because they believe they are accurate and truthful. Unfortunately, negative reviews can have a powerful hold on many people when they shouldn’t. The question, then, is: How do we know if a review is accurate? The truth is, we don’t really know if a review is accurate. In this day and age, it’s possible for someone to leave a negative review on just about anything. A quick Google search, even on a famous destination resort, will land you on a review page that often has less than glowing comments. Remember that reviews are often circumstantial. Experiences with a product or service might differ depending on who the person is leaving the review. In addition, people can leave reviews when they are in less than pleasant moods. This will always have an effect on their rating. Because people have such differing opinions, you’ll be hard-pressed finding a particular product, destination or service that has only positive, 5-star reviews. That being said, it is wise to read user-reviews with a grain of salt and proceed with caution when making your decision. The good news is that there are usually more positive reviews than negative reviews. Yet because there are fewer negative reviews, these become more valuable to the reader or potential buyer. Negative reviews also provide people with a sense of security because they indicate what might go wrong with a particular item. For example, a pair of shoes might receive a negative review if they didn’t cushion the buyer’s feet as expected. Keep in mind that many 5-star reviews are also fake. If you’re going to put all of your trust in the comments from reviews, then it’s wise to take a good look at both the negative as well as the positive ones. It’s always a good idea to check out multiple reviews from the same user to see if that person leaves balanced reviews as opposed to many negative ones. Have you ever wondered about the process pawn shops use to determine how much they pay out for gold? It’s not a whimsical decision process. In fact, a good pawn shop owner is well-informed about how much gold is worth and he or she knows how much the pay-out should be, too. At Cash Express, we want all of our customers to feel informed about the gold-buying process so we work hard to deliver excellent results. 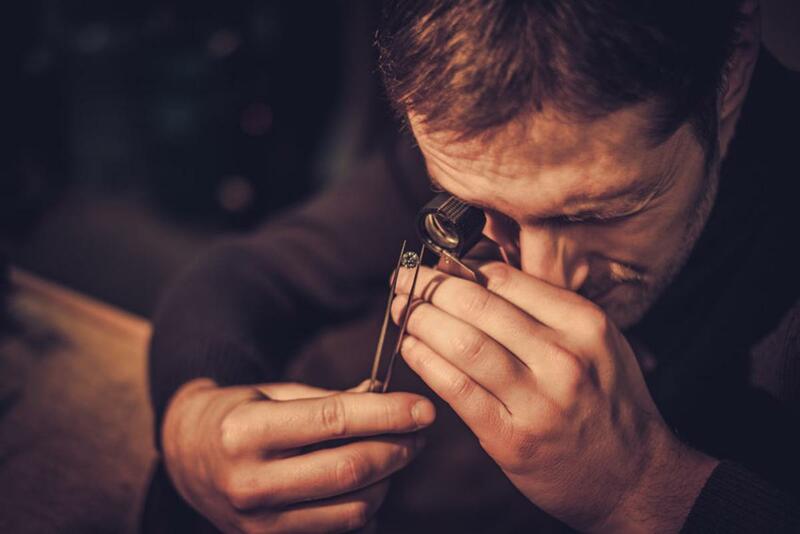 To get the most for your gold at pawn shop, there are a few pointers to keep in mind. First off, anyone looking to sell their gold should be sure to take it to a reputable pawn shop like Cash Express. When you deal with experienced gold buyers like the ones at Cash Express, you eliminate any uncertainty about your transaction. Our buyers will always work to assure you receive the highest possible price for your gold. Gold is assessed for its purity before any sale is ever made. This is how buyers determine its value. Gold can range anywhere from 8 karats to 24 karats and a professional gold buyer will be able to identify exactly what your gold is. Regardless of purity level, the buyers at Cash Express will always ensure you receive top dollar for the gold you aim to sell. Looking for immediate cash? The gold buyers at Cash Express will always try to make you an offer on the spot. If you’d prefer having more time to think about the offer, then that’s fine, too. A good pawn shop only employs people who know how to make their customers feel welcome and informed, not pressured. If you have gold that you want assessed, then stop in to Cash Express and let one of our talented associates help you make an informed selling decision. We will always provide you with the most accurate information so you can walk away a satisfied customer. If you’ve recently opened a pawn shop, or even if you’re just tossing around the idea of opening one, Cash Express has a few helpful hints for success. As one of the leading Philadelphia pawn shops, we understand the importance of organization and commitment. We’re here to share a few ideas about running a brick and mortar shop that will help you become a more productive and proactive business owner for 2019. One of the most important steps in becoming a successful pawn shop owner is maintaining compliance. This means that you need to ensure, for example, all of your employees are reporting the appropriate data for police reporting. Collateral lending is highly regulated which is why it’s always important to abide by the regulations set for each shop. You can set required fields on your forms so that during a transaction, pawns can’t be completed without all required customer information. Busy pawn shops have a lot going on at once. This is why it’s important for you to be able to locate items quickly inside the shop. Customers don’t want to stand around waiting while you run around trying to find an item. Besides, stepping away from the counter is always a bad idea. PawnMaster can help you easily locate items by creating an assigning bin for all items in the shop. Assigning bin number isn’t a complicated process. It just takes a little extra time to complete. Most successful pawnshop owners will suggest adding a drop safe if your shop buys or loans jewelry. Placing valuables into a drop safe at the time of the transaction ensures provides customers with the reassurance their collateral jewelry is safe. It also sends a message to potential thieves that your shop takes security seriously. Establishing good habits will keep your shop up and running. For example, consider getting in the habit of pulling forfeits on a daily basis. Pulling your buys and defaulted loans on a regular schedule ensures that work doesn’t pile up to the point of unmanageability. It also guarantees money won’t be left on your hold shelves. Other good habits include sending reminder letters, balancing cash drawers, reviewing daily reports and making a back-up. The most successful pawnshop business owners maintain secure shops. This is accomplished by delegating authority and assigning specific responsibilities to both employees and managers. A secure pawn shop is one that is not vulnerable to robberies. It is also one that allows you to free up time for growing your business. When hiring, make your expectations clear to potential employees and always follow through on your consequences for misconduct. Have you ever considered selling your used household electronics at a pawnshop? At Cash Express, we work hard to provide a positive buying and selling experience for all of our customers. If you’ve never sold your electronics at a pawn shop, we can help you learn more about what’s involved to make the process simple. Selling your electronics at a pawnshop can be a quick and simple way to earn some extra cash right before the holiday season. If you’re someone who needs quick cash, then why not consider selling some of your used electronics? All of the associates at Cash Express know how to be of assistance so you can get the cash you need most. The team at Cash Express can help you learn how to buy, sell or trade your electronics just in time for the holidays. Selling used electronics is a favorite way to earn some cash just when you need it most. We buy all kinds of electronics, including televisions, play stations, movies, cameras, laptops and more. Wondering how you can ensure the highest price for your used electronics? At Cash Express we’ll guide you through the process. If you have electronics that no longer work or that have missing parts, you probably won’t get as much money in exchange. The same applies to electronics that have cracks in their screens or major cosmetic issues. It’s best to bring in those items that are in the best shape so that you’ll receive top dollar in return. On the other hand, if you can find all the remotes, cables, instruction manuals and parts that came with the item, then your chances of gaining a reasonable payout increase. Bring in whatever you can find and one of our expert sales associates will help you with the rest. Another helpful tip? Clean your electronics off before bringing them in. This will help boost your selling price, too. Gold and diamond jewelry are always favorites and make excellent gifts around the holidays. If you want to find that special watch, ring, necklace or hair pin, Cash Express might have exactly what you need. Pawn shops like ours offer a wide variety of beautiful jewelry for men and women. Earrings are a popular choice, as well as simple rings and pendants. Maybe you have a friend or family member who is musical. If that’s the case, Cash Express can help you find a musical instrument. Whether you want to buy a gift for a professional musician in the family or for someone who has an interest in learning, we can help you find the right gift. How about some electronics? Most kids and adults enjoy electronics of all kinds, so a pawn shop like Cash Express can help you find something that works for everyone. Maybe you want a new tablet or a laptop. We can always try to help you find what you need. Tools might be a good gifting idea, too. At Cash Express, we carry a wide variety of household tools, some which are in like-new condition. 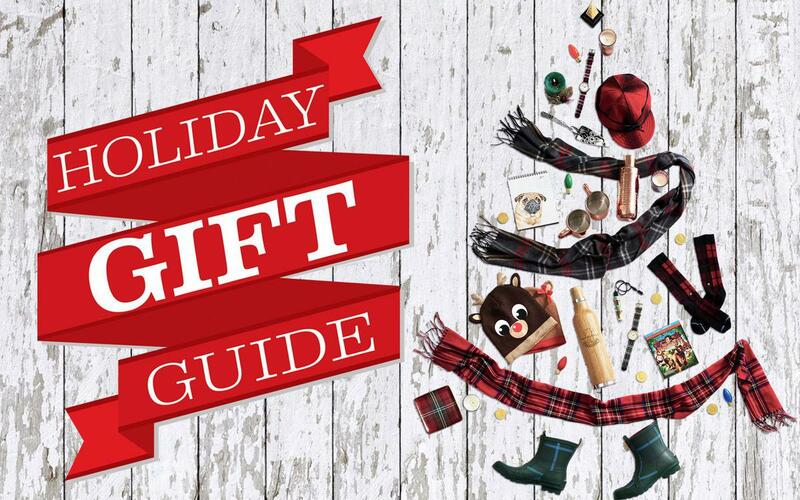 Stop in now to find out more about how we can help you check off all those special gifts from your list. If you’re interested, we can even help you sell gold before the holidays. Selling gold is a great way to get you cash for purchases. Don’t put off your holiday shopping until the last minute. Check in with Cash Express soon to find out what we can do for all of your holiday needs. How Are Pawn Shops Regulated? Have you ever wondered how pawn shops are regulated? Maybe you’ve bought or sold items from a pawn shop and were curious about the nitty-gritty details when you left. Many people wonder how pawn ships are regulated, so Cash Express has created a quick guide that explains the fine print. 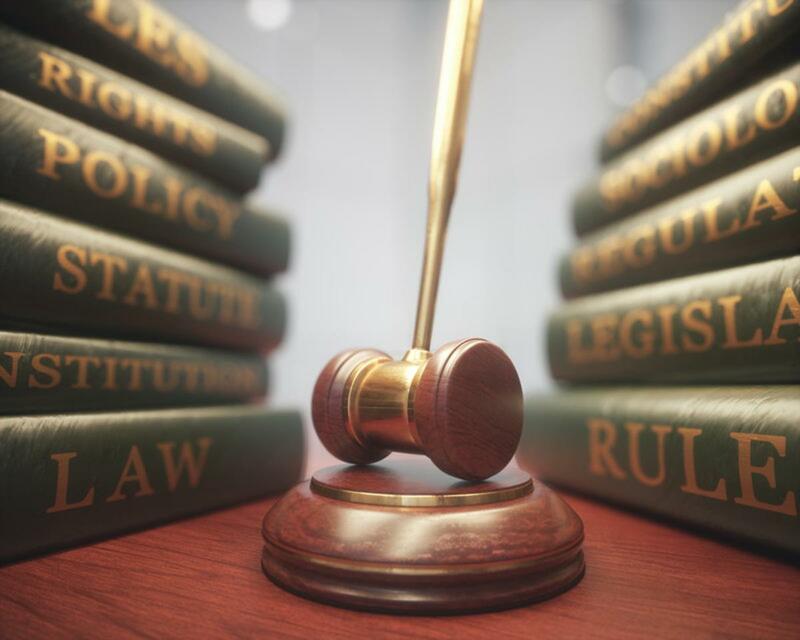 If you’ve ever wondered about the rules and regulations that govern your local pawn shops, read on for more information. Pawn shops are regulated by state and local laws. In fact, most pawn shops are regulated by these laws even more tightly than you might have expected. This is because pawn shops are oftentimes viewed as entities in the financial services industry. Pawn shops are expected to comply with these rules and regulations to make sure that all business transactions are handled legally and efficiently. Most pawn shops have specific rules that apply to how they handle money, customer information and other transactions. In addition, pawnshops also need to ensure that all of their contracts are inspected on a regular basis by local state officials. Pawn shops are regulated so that both customers and business owners are guaranteed a safe and successful experience. When you think about it, the way that pawn shops operate isn’t too different from the way that other industries operate. Banks, for example, are regulated and inspected on a regular basis, as well. Because so many people use pawn shops nowadays, it’s important for the owners of these shops to remain current with all of their rules and regulations. 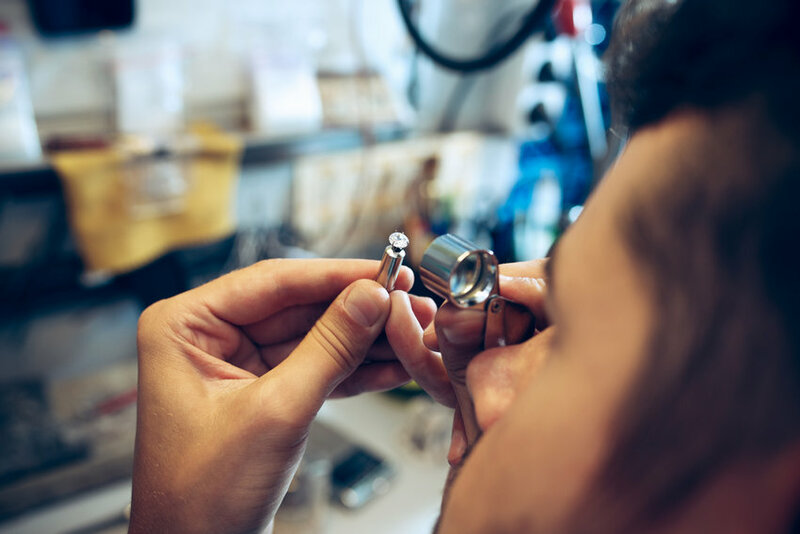 Because so many people use pawnshops on a regular basis and because the pawn shop industry has garnered so much attention over the years, all of their regulations are important for operating safely and securely. If you want to find out more about your local pawn shop, Cash Express can always help you understand more.